The purpose of the Chair in Anticipatory Systems is to both develop and promote the Discipline of Anticipation, thereby bringing a critical idea to life. To this end, we have a two pronged strategy consisting of knowledge development and communication. The two are equally important. While many academic projects naturally emphasize knowledge development, we must also reach a large and disparate audience, and open minds locked within the longstanding legacy of reactive science. Thus, from a practical standpoint, how we conceptualize and communicate the Discipline of Anticipation is as important as the Discipline of Anticipation itself. While anticipation has been widely studied within a number of different disciplines – including biology, anthropology, cognitive and social sciences – to date nobody has collected and systematically compared the results. For a preliminary survey see, however, R. Poli, The Many Aspects of Anticipation, Foresight, 2010, 12, p. 7-17, and the bibliography M. Nadin, Annotated Bibliography: Anticipation, International Journal of General Systems, 2010, 39(1), p. 35-133. Two figures stand as central contributors to the discipline of anticipation: the mathematical biologist Robert Rosen (see his Anticipatory Systems. Philosophical, Mathematical and Methodological Foundations, New York, Springer, 2nd ed. 2012, and Life Itself. A Comprehensive Inquiry into the Nature, Origin, and Fabrication of Life, New York, Columbia University Press, 1991) and the anthropologist John W. Bennett (see his Human Ecology as Human Behavior: Essays in Environmental and Development Anthropology, New Brunswick and London, Transaction Publishers, 2nd ed. 2002). The former established the theory of anticipatory systems; the latter the connection between anticipation and resilience. What is anticipation? Are anticipations imposed by the mind, or are they aspects of reality, or does anticipation involves a relation with both? The project’s main objective is the development of the Discipline of Anticipation, including the development of a system of anticipatory strategies and techniques. The more the culture of anticipation spreads, the easier it will be to develop socially acceptable anticipatory strategies. It will then be possible to accumulate relevant experience on how to think about the future and to use anticipatory methods. It will also be possible to try and develop a language and a body of practices that are more adapted for thinking about the future and for developing new ways to address threads and opportunities. Futures Literacy: Development of a set of protocols for the appropriate implementation on the ground of the different kinds of anticipation (under the rubric of futures literacy), together with syllabi and teaching materials on the Discipline of Anticipation. Anticipatory Capability Profile: Development of a Anticipatory Capability Profile for communities and institutions, together with a set of recommendations on how a community, organization or institution may raise its anticipatory performance. Resilience Profile: Setting of a resilience index and analysis of the resilience level of selected communities and regions, including a set of recommendations on how to raise their resilience level. The following table summarizes the multi-dimensional components that distinguish forecasts, foresights and anticipations. 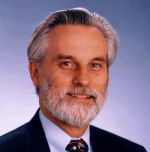 Peter Bishop, Ph.D., futurist and Associate Professor of Strategic Foresight, University of Houston, directs the graduate program in Futures Studies at UH, and co-authored Thinking about the Future: Guidelines for Strategic Foresight and Teaching about the Future. He is a founding member and former board member of the Association of Professional Futurists. 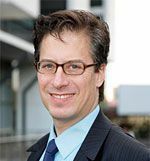 Riel Miller, Ph.D., futurist, is Head of Foresight at UNESCO in Paris and has published widely including articles in Foresight and Futures journals. He previously consulted for Xperidox: Futures Consultancy, was an economist and futurist for the OECD, and served as a board member of the Association of Professional Futurists. are applied social scientists, using the best of what we know about social change and applying it help others understand the range of plausible futures and to make decisions and take actions that bend the trajectory of the future to come closer to their preferred future. use a combination of logical analysis and disciplined imagination to understand where the future is headed and where it might end up instead. focus on the longest useful future, a future that allows for significant and transformational change to occur, whether by events in the world or by the actions of transformational leaders. see the future as the result of changes in the world (trends, events and actions by others) coupled with changes that we create ourselves. take the widest possible scope when considering the drivers of change. They take no aspect of change off the table because all the domains of change (Social, Technological, Economic, Environmental and Political) affect all the other domains in the long-term future. They are the synthesizers, those who weave the threads of change into the big picture of what the future could be. As a result, they do not have the depth of knowledge about any one field that an expert in that field has, but they have the ability to link the fields together into one coherent whole, something that few experts can do. dig more deeply into the drivers of change, focusing on the deep currents that transform people and societies over the long run rather than the short-term changes that are here and gone in the short- or medium-term future. recognize that uncertainty and ambiguity is an inherent, even useful aspect of the long-term future. As a result, rather than ignoring that uncertainty or even assuming it away, they describe the future as a set of plausible alternatives and encourage others to use the indeterminacy of the future to their advantage. reflect on the assumptions that shape people’s view of the future. They use empirical data as others professions do, but the data is not the biggest problem in understanding and influencing the future. Rather what people believe about how the world works constrains their thinking to a narrow slice of the future that often misses what actually occurs. Challenging assumptions is one way of opening up to the other plausible futures that just might occur. do not agree with the determinists that there is only one worldview and one future. We accept that we cannot know, in a predictive sense, what will happen, even given the best that social science has to offer. Most people believe that it is impossible to predict the future, but they do not know what to do with that knowledge so they keep on predicting and believing in predictions. as a result, speak about the future in multiple, alternative scenarios. They help people handle the ambiguity and uncertainty inherent in the long-term future by becoming comfortable with and by ultimately using the contingent nature of the future as the best way to understand and to influence it. They change the way people think about the future, from a single pre-determined future to a multiple, open future that allows for creativity and choice. They build the capacity to understand that using alternative futures is the only valid way of thinking about the long-term future and to use those alternative futures as the basis for creativity and choice. make sense of the patterns of change (sensemaking) and how those patterns can lead to surprising and unexpected futures (strangemaking). For people who are fixated on a single future, they make it strange; and for people who are confused, they help them make sense of it. believe that, since it is impossible to predict the future, accuracy is not the best measure of successful foresight. Rather foresight builds the capacity to learn about change as quickly as possible and to be flexible enough to respond to that change in creative and effective ways. have no one set of approaches, methods or tools. Rather they adopt the approach that is most effective for the situation. move beyond simple, quantitative approaches to the future in favor of approaches that promote understanding and, in some cases, action. Professional Futurists (PFs) do not predict. The primary role of PFs is to assist with the design and implementation of processes for using the future. PFs are knowledgeable and experienced in Anticipatory Systems (AS). This means that they are aware that conscious deployment of AS can be used to address three types of imagined future: contingent/external, planned, and novel; and the PF can distinguish these categories and the different goals, tools, and processes associated with the three different categories of conscious anticipation. PFs design the knowledge creation processes that generate anticipatory assumptions using the scientific method of hypothesis testing and third party evaluation. PFs insist that anticipatory assumptions are the source of the models used to imagine the future in ways that can be descriptive or causal, dynamic or static, but that all predictive statements with respect to paths or end-points are assumption based and the main role of the PF is to elucidate the attributes of these assumptions. PFs as experts in designing and implementing knowledge processes for identifying anticipatory assumptions may also help to design and implement decision-making processes that choose and act on the basis of anticipatory assumptions but this is not the core expertise of the PF qua Futurist. The bottom line is that PFs may use to trends or scenarios to arrive at anticipatory assumptions but those are means to an end - the clarification of anticipatory assumptions. This is the primary professional role of futurists, to help people/organizations to discover/detail anticipatory assumptions. Strictly speaking as defined by boundaries of professional conduct the choice and use of the assumptions is outside the role of the PF, even if many PFs have expertise in other fields, such as decision making or choosing anticipatory assumptions. But producing something, like a cookie, is not the same as making the choice to eat it. The creation of anticipatory assumptions is not the same thing as deciding which ones to assert. This is the dividing line between the PF and the decision maker, it is the difference between the PF that makes explicit the different kinds of anticipatory assumptions and the processes for producing them but does not make the leap to choosing one assumption or another – at least not in the role of a PF. This means that a PF, in their role as a PF, must make every effort to avoid confusing anticipatory assumptions with the actual choice from amongst those assumptions. To be very explicit, this means that the role of the PF is to make clear that any predictive statement must be rooted in a choice of anticipatory assumptions and that their role as a PF is to establish the assumptions not make the choice. The PF in their professional role does not make probabilistic statements. Abiding by this tenant is one of the ethical requirements of the profession. Excerpts from the paper R. Miller, R. Poli, P. Rossel, The Discipline of Anticipation. Key Issues. The paper can be downloaded from here. All efforts to know the future in the sense of thinking about and using the future are forms of anticipation. Equally the future is incorporated into all phenomena, conscious or unconscious, physical or ideational, as anticipation. As every other discipline, the DoA exploits a remarkable variety of methods. This document, however, intentionally leaves aside the discussion on methods in order to remain focused on basic issues. As far as the theories composing the DoA are concerned, the discussion is at such an early phase of development that very little can be said. For this reason we shortly present only two issues, namely Futures Literacy (FL) and complexity. The distinction among the three ways of using the future is meant to be analytical. It does not imply that at any given time people, communities or institutions individually use only one of them. As a matter of fact, all the ways of using the future are usually employed together, in different proportions. The analytic distinction into three main types is a conceptual tool for better classifying and understanding the way in which communities and other relevant subjects use the future. During the past sixty years complexity has been defined in so many different ways that the term risks becoming meaningless. Furthermore, complexity is one of those issues that quickly veers into difficult technicalities. Leaving aside many otherwise needed details, embracing complexity for the DoA means awareness that complex systems are such that (1) they can never aver be fully captured by any model (i.e., models are always incomplete); and (2) under suitable conditions small changes may generate huge effects. The DoA is in its early stages of development. In this regard, the DoA is not different from any other discipline (or science for that matter). Further developments of the DoA require not only theory enhancement but also systematic testing against reality. The latter in particular helps to verify the capacities of the DoA before aiming at its broader implementation. Finally, it is worth noting that there is nothing mysterious in the DoA: as difficult as it may appear, all the components of the DoA can be learned.